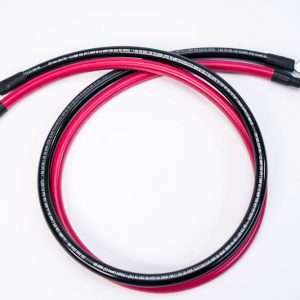 We feature inverter battery cables manufactured by Spartan Power, who we feel make the best cables for power inverters on the market today. 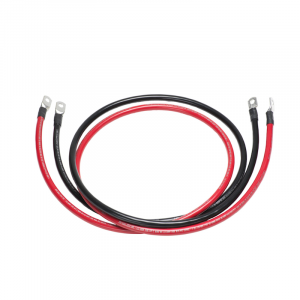 Power inverter battery cables come in all shapes and sizes, and as you can imagine, we have what will you need. 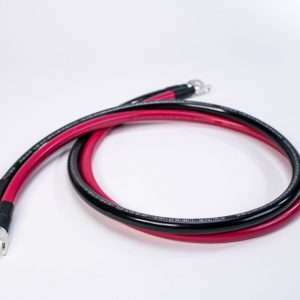 We also carry the cables to put your battery bank in a series or parallel configuration. We here at Inverters R US know that sometimes it can be confusing setting up your inverter system for the first time, so if you have any questions, please don’t hesitate to contact us. 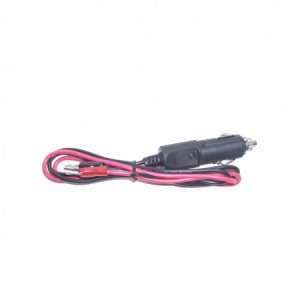 The size of your DC to AC power inverter will determine what gauge of inverter battery cable you should be using. Please use the quick reference below to properly size the cable. The information below is rated at a maximum length of twenty feet. 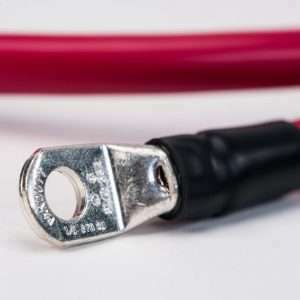 Always consult the manufacturer’s user manual (which can be found on our site) for their recommended AWG battery cable choice. For those of you who prefer to shop at AMAZON, we do have these awesome Spartan Power battery cables for sale there.